According to Georgia State Dean of Students Darryl Holloman, the ban issued on student Asma Elhuni has been lifted. 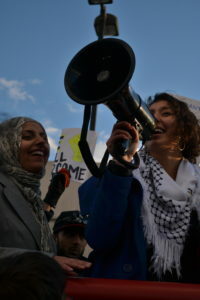 Georgia State police issued Elhuni’s ban on Thursday night after her removal from the Student Government Association (SGA) meeting on Jan. 26. Elhuni was escorted out of the meeting by GSUPD after refusing to stop talking, while addressing a question to Georgia State University President Mark Becker about the Turner Field Community Benefits Agreement (CBA). 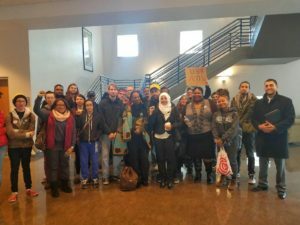 Elhuni, fellow students, Turner Field residents and members of United Students Against Sweatshops (USAS) marched to the Dean of Students’ office in Student Center East at 9 a.m. on Jan. 30 to ask Holloman to lift the ban. Elhuni was also accompanied by her attorney Ibrahim J. Awad and her husband. Holloman allowed the group of over a dozen students into the office and said GSUPD had already lifted the ban on Friday, Jan. 27, 2017. Elhuni had not been informed about the removal of the ban until speaking with Holloman, who said GSUPD Chief of Police Joe Spillane sent the update to Elhuni’s email just before 9 a.m. today. Holloman added that he was aware the group may come to his office for an impromptu meeting and instructed staff members not to call the police. Thursday, Jan. 26 was the second time Elhuni, who is a graduate student at the Andrew Young School of Policy Studies, had been issued a two-year ban. She said she was not surprised by GSUPD’s decision to revoke the ban. Elhuni’s husband, Khalil Abdullah, said that he was surprised by the quick reversal. Abdullah said he also saw the video of his wife’s removal from the SGA meeting that was posted online, and that he was taken aback by GSUPD’s actions. “My wife is a fighter, so it wasn’t surprising to me as her husband that she would be the one to be the most vocal. I was surprised that they actually kind of dragged her out,” Abdullah said. “I think they could have handled that much better. And the fact that the police spoke to her even before she stood, that intimidation and bullying goes back to GSU police needing to reassess their treatment of students,” he said, referring to the warning university police gave Elhuni, that she would be arrested if she made any disruptions during the meeting. 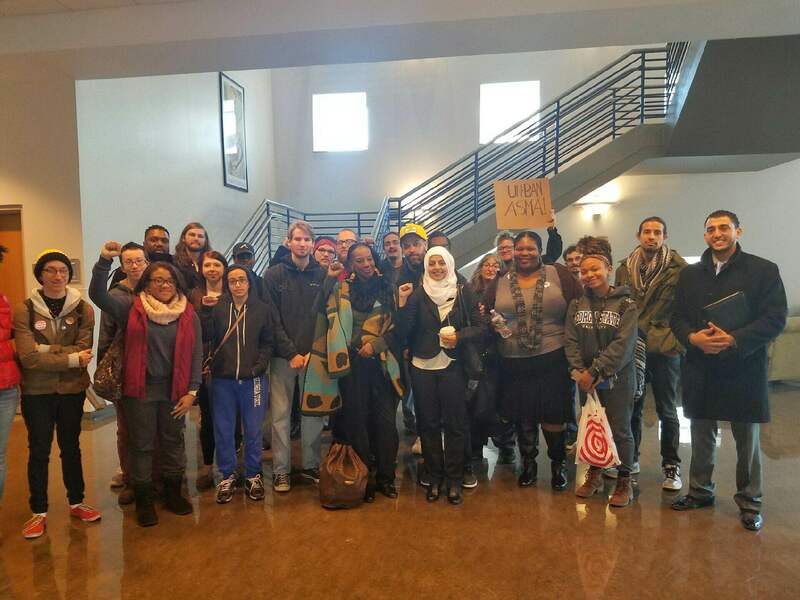 After the meeting with Holloman, Elhuni’s attorney told students he would also defend them for free if they are arrested for protesting. Peoplestown resident Alison Johnson said she has been a victim of displacement due to prior city developments and wanted to support Elhuni because of her constant campaigning for the CBA. USAS representative Patricio Cambias said the group has more actions planned for this week. Our constitution protects Americans’ right to protest and there should be no penalties for peaceful protests. However, your rights end at my nose. I have every right to state my views and hear those of others. If your protests silence my right to speak or to hear others, there should be consequences. If your protests injure people or damage property, there should be severe consequences. If you feel strongly about what you are protesting, you should be willing to suffer the consequences of your civil disobedience.